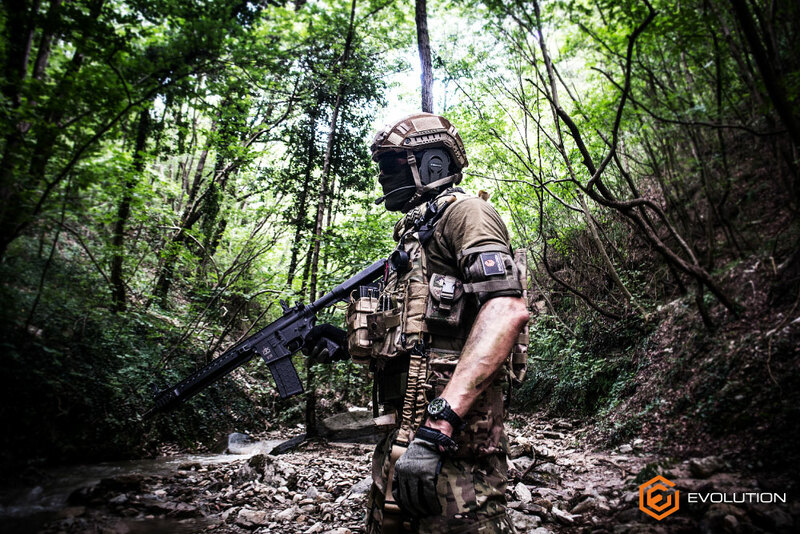 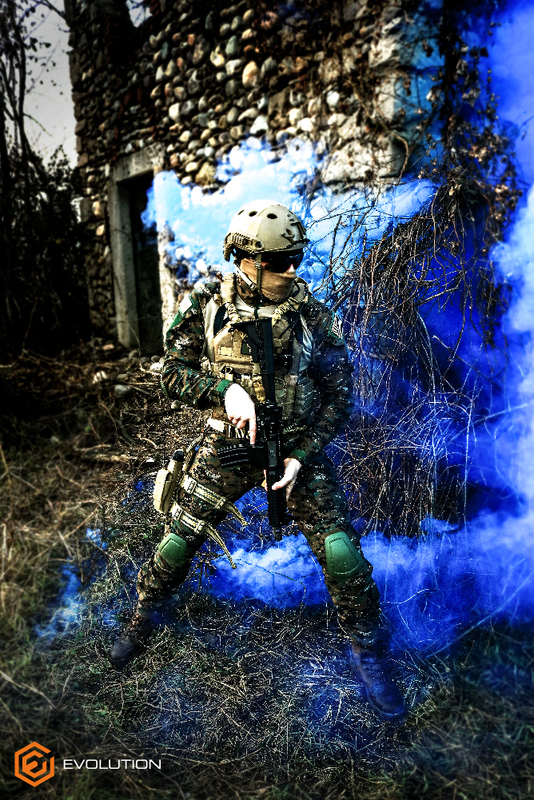 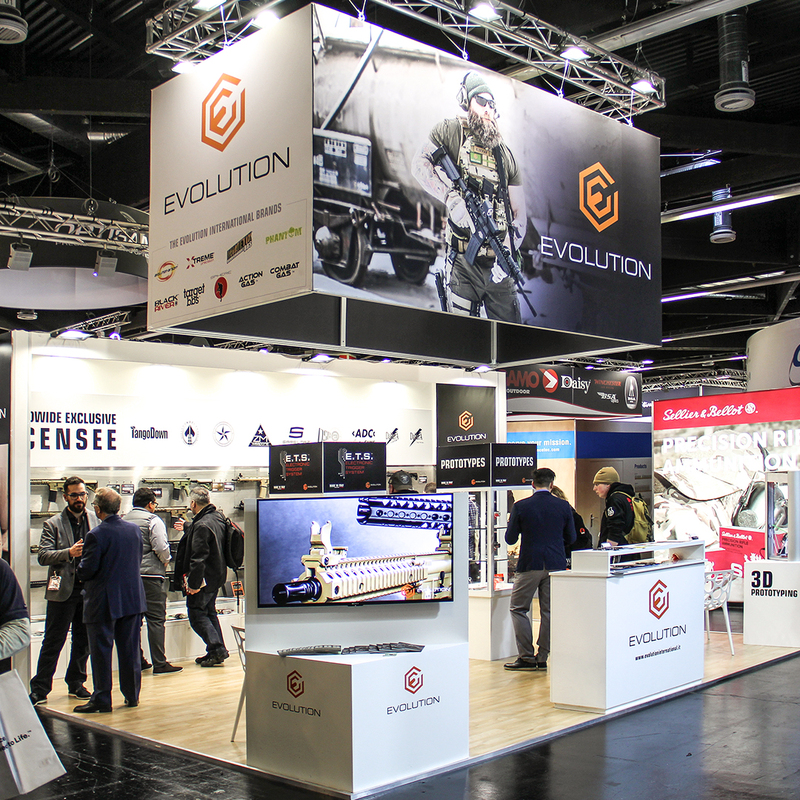 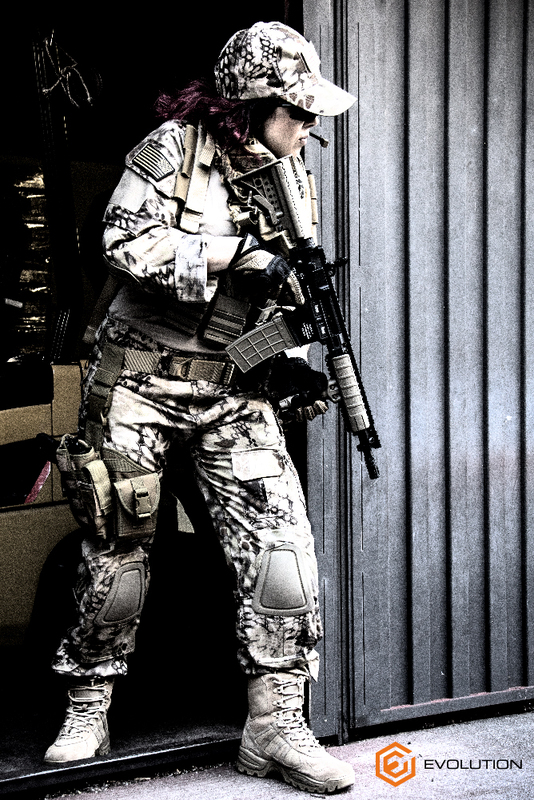 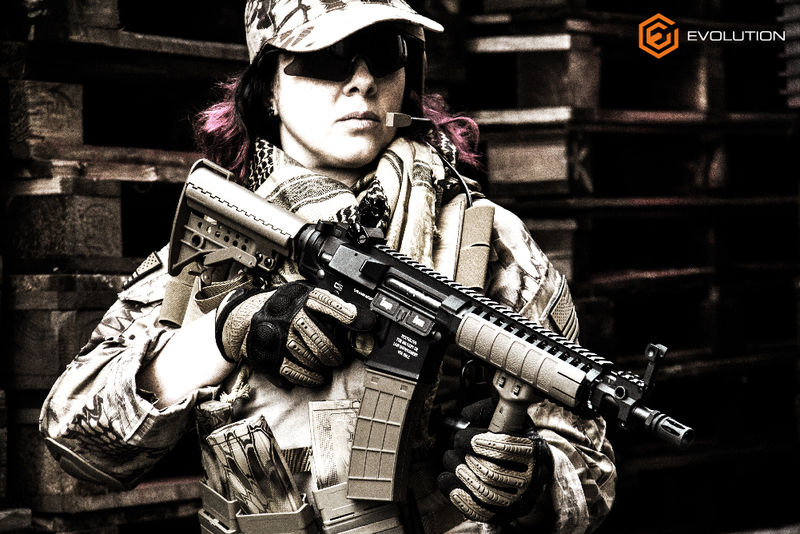 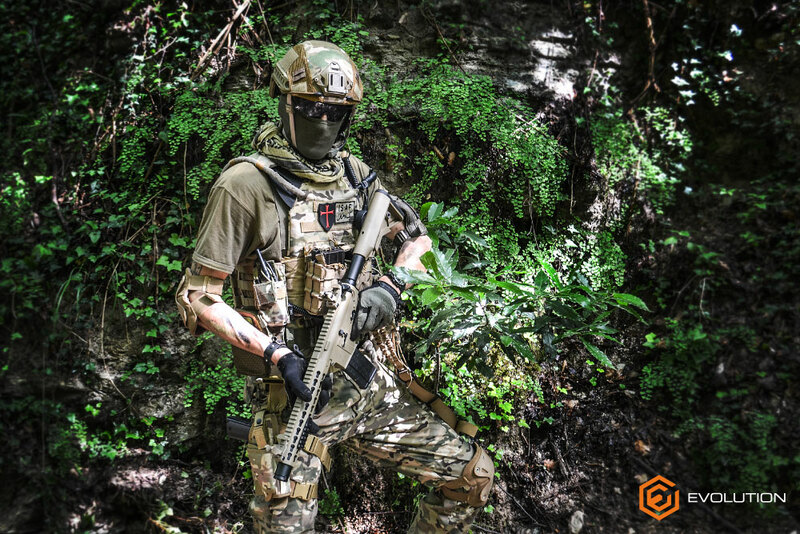 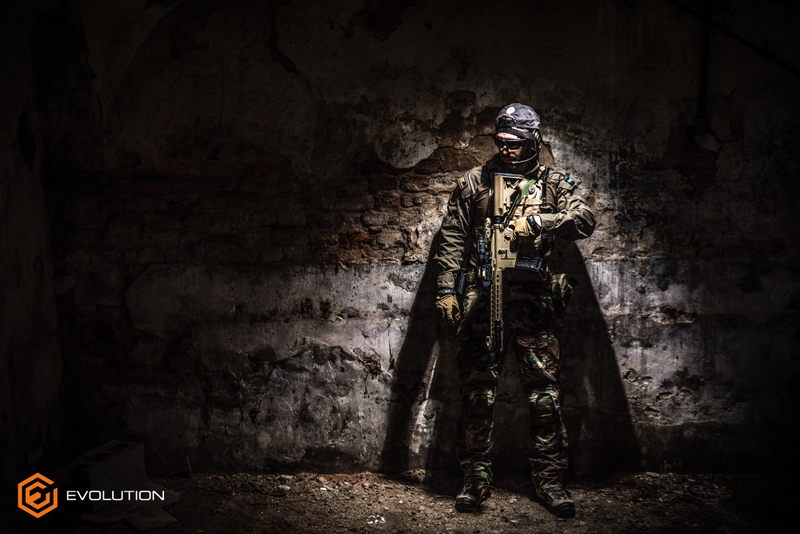 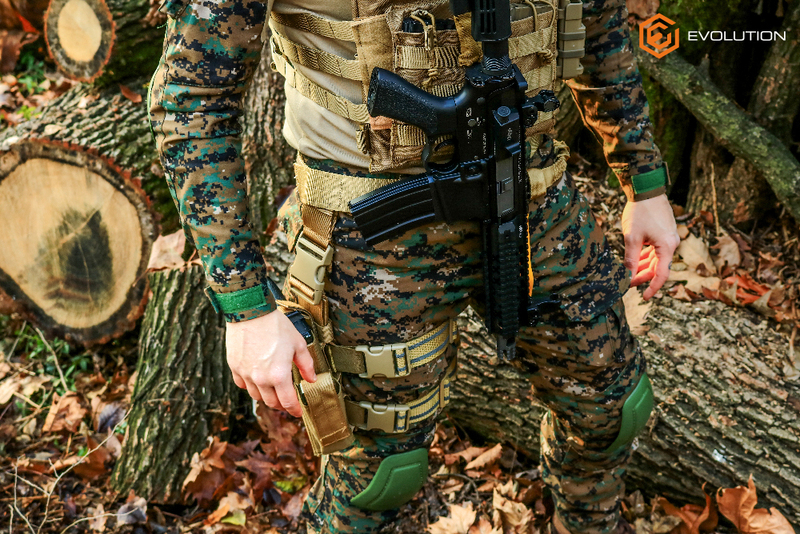 Evolution Combat – Evolution International S.r.l. 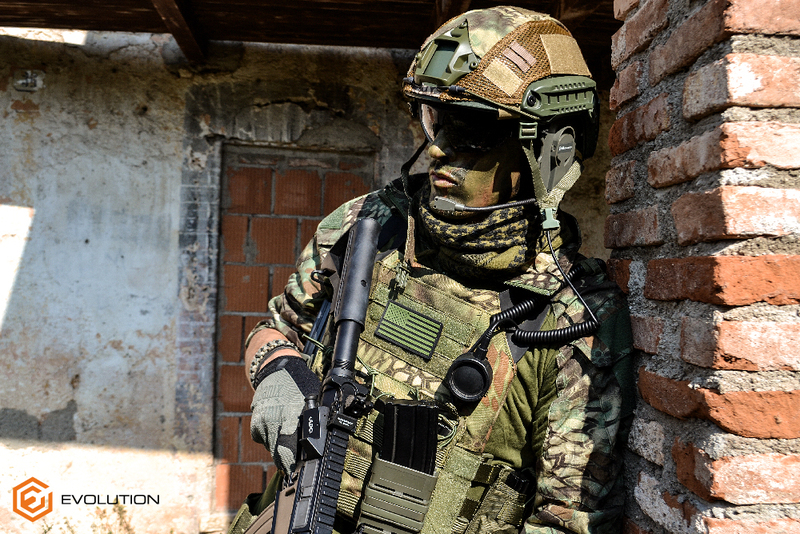 The new Evolution guns come with real Cerakote® finish, the special coating for real guns made using ceramic particles. 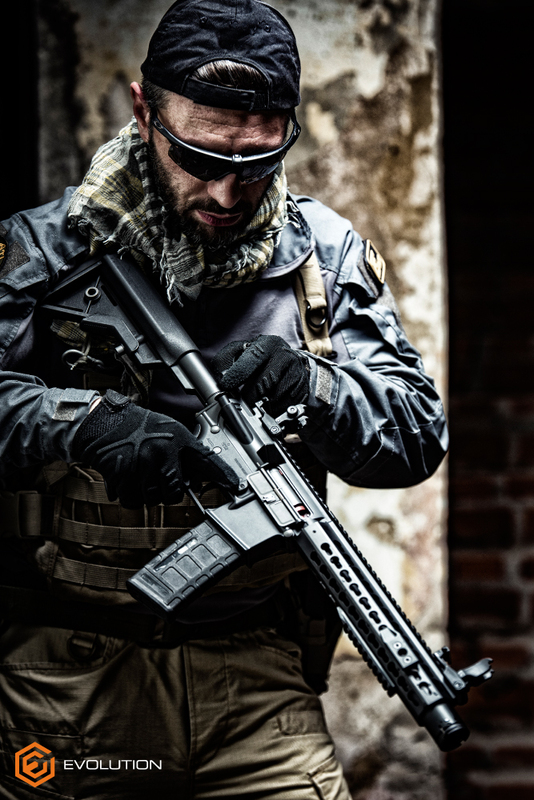 Each gun is delivered wih an Hexmag® 120BB magazine. 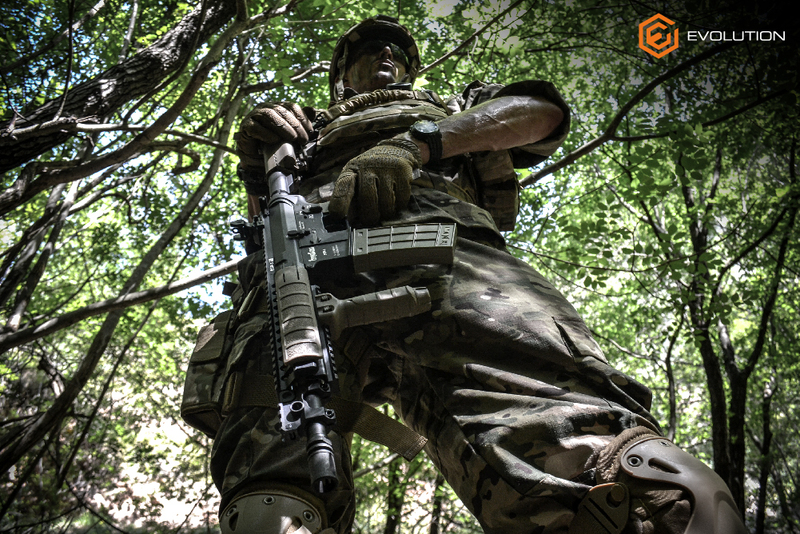 The Hexmag magazines are made under exclusive license. 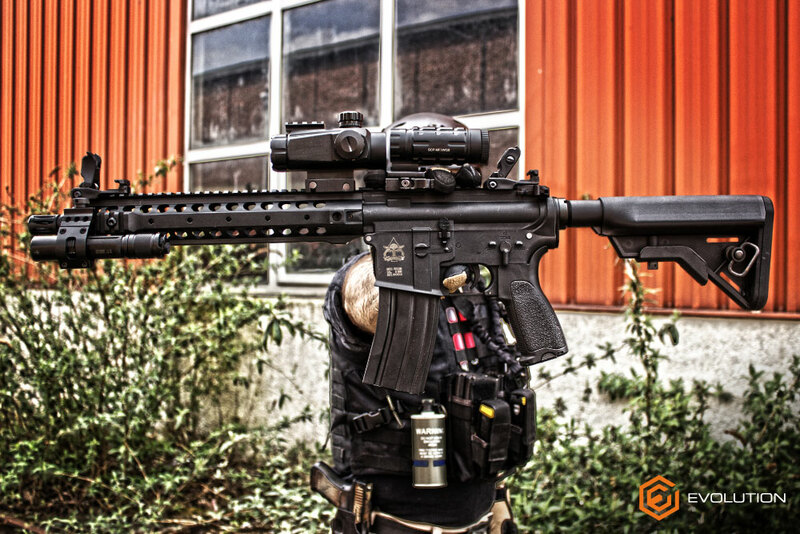 The finish and detail level of these guns are impressive. 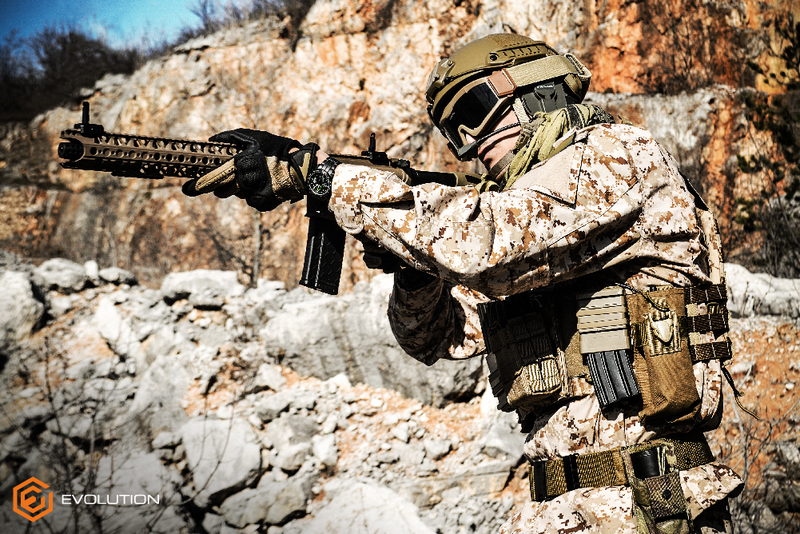 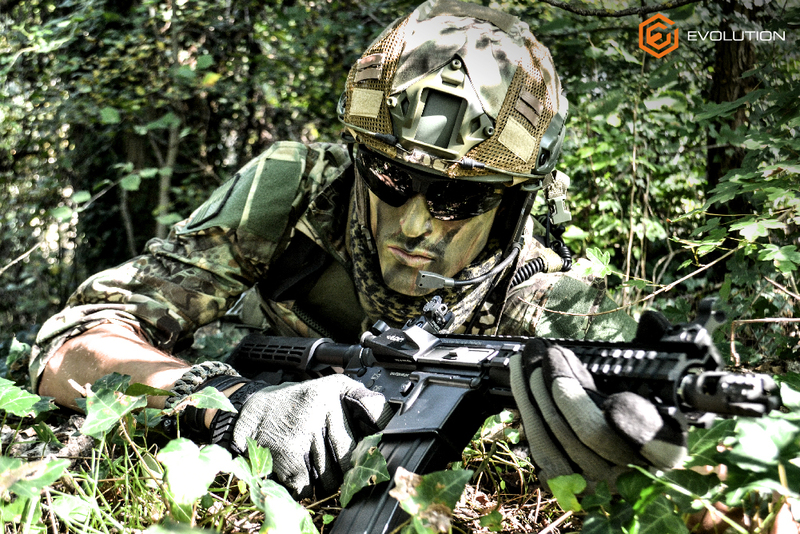 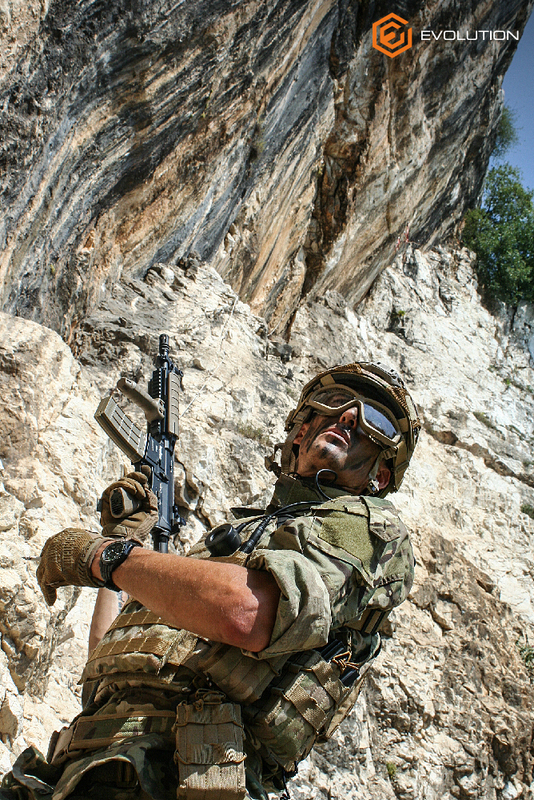 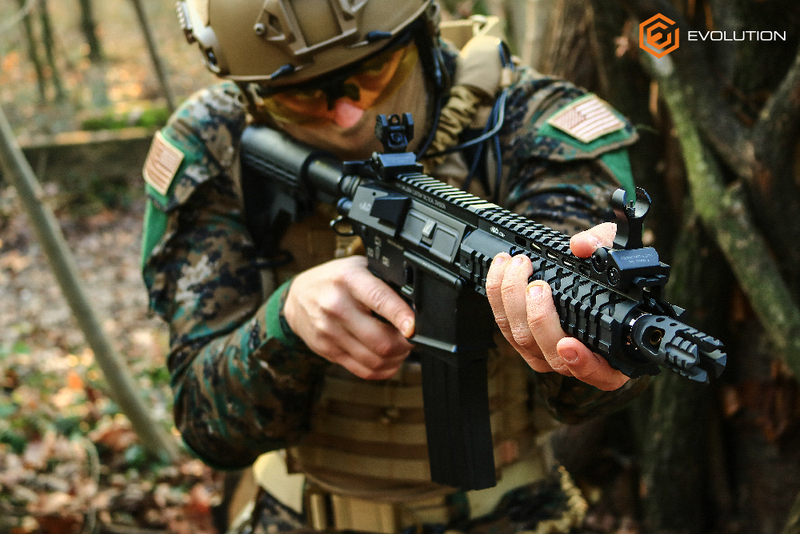 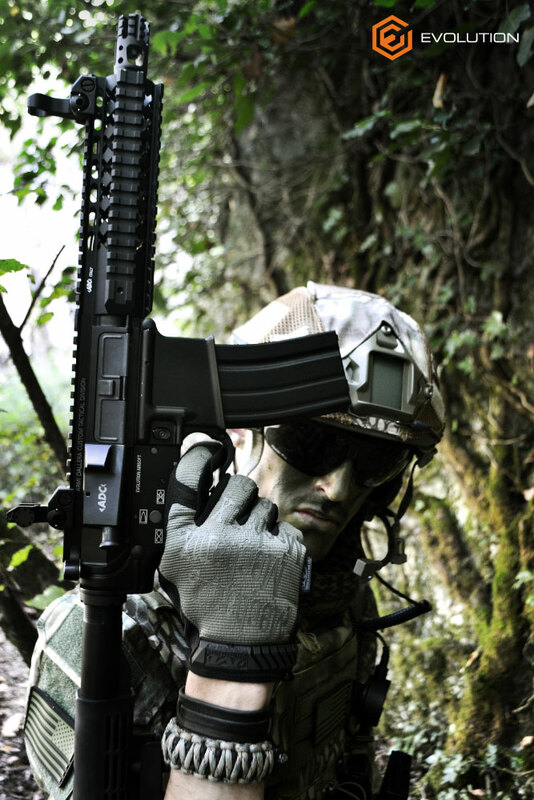 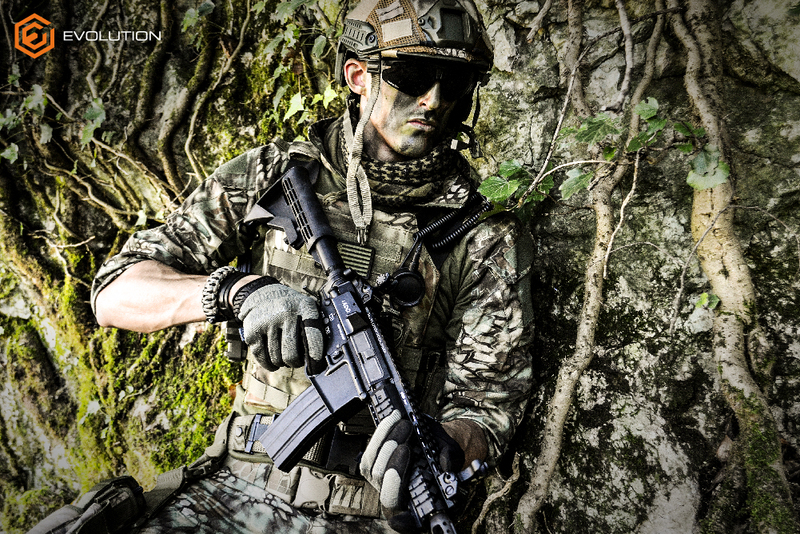 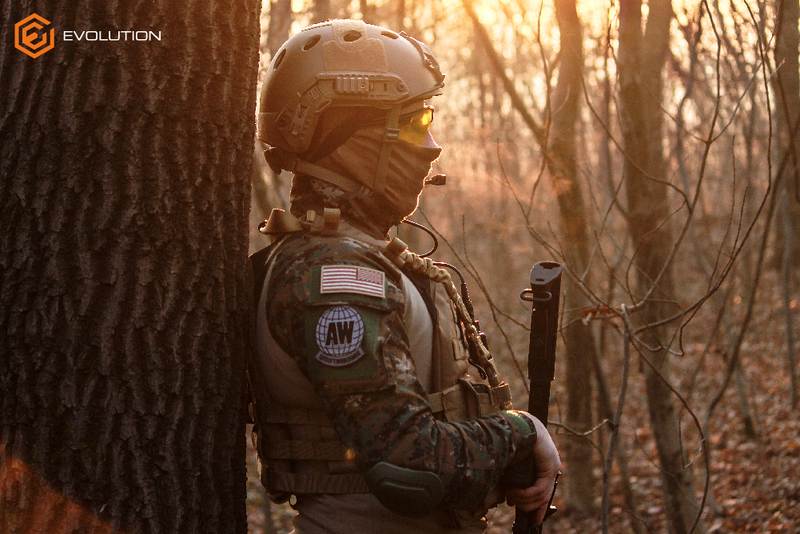 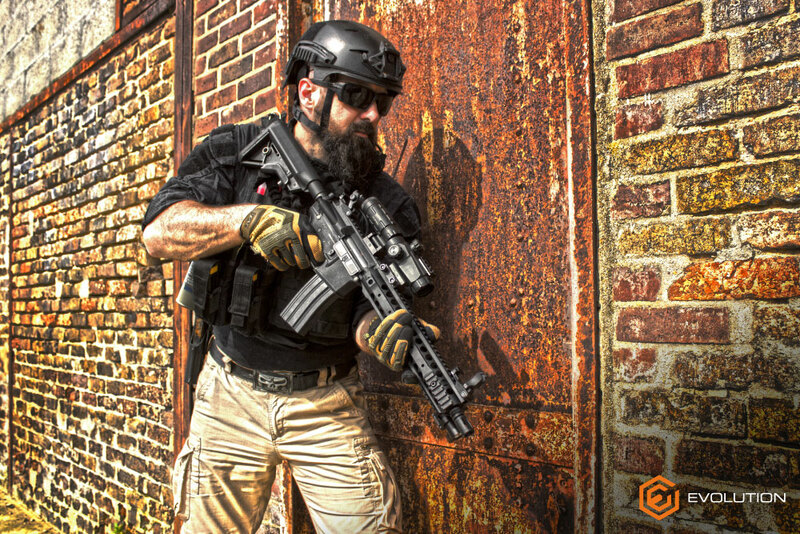 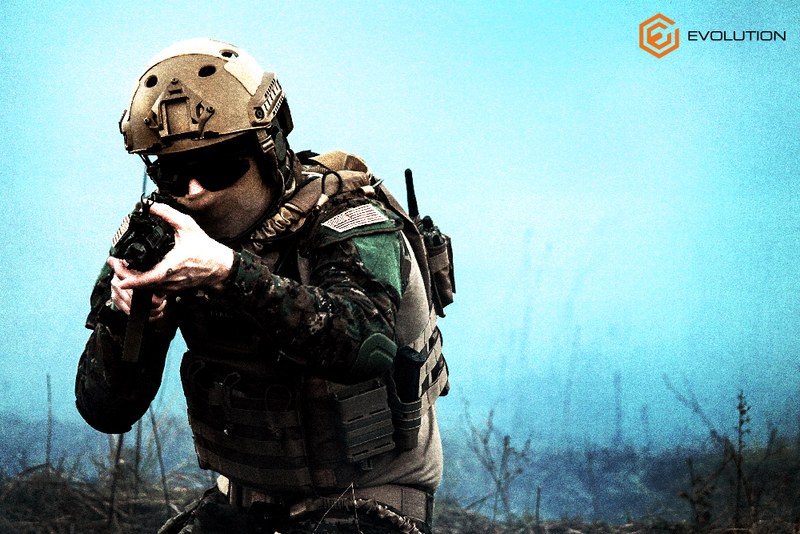 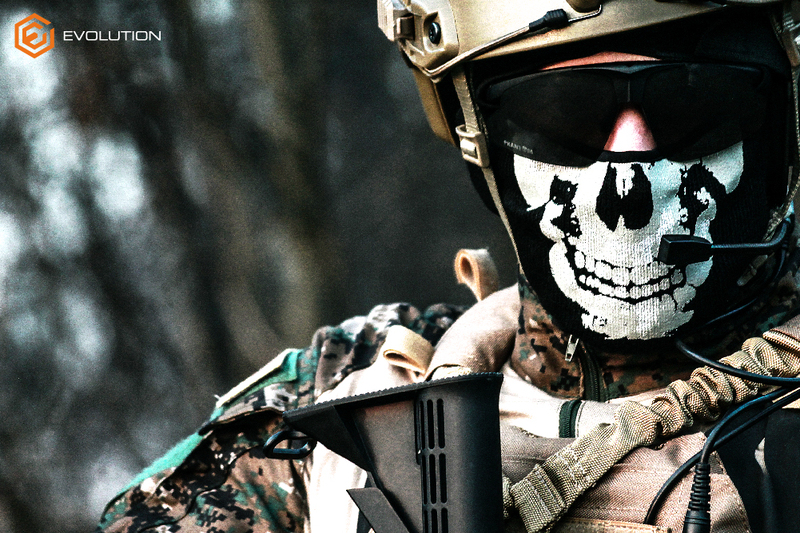 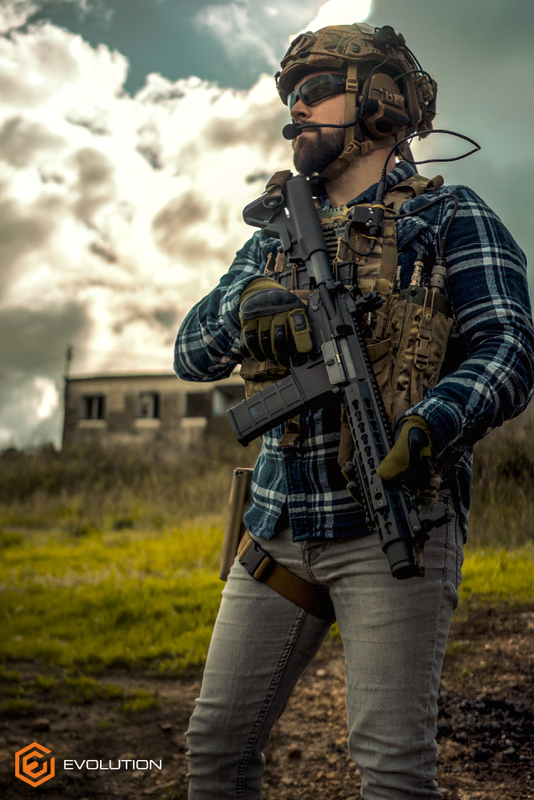 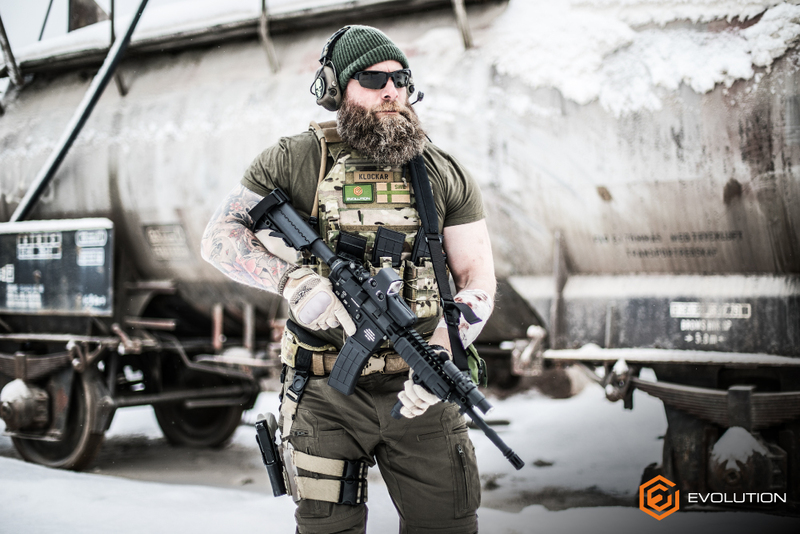 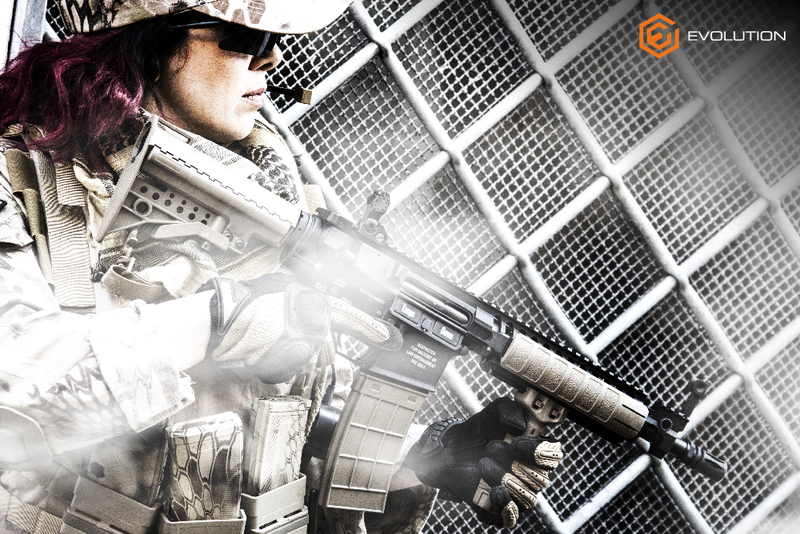 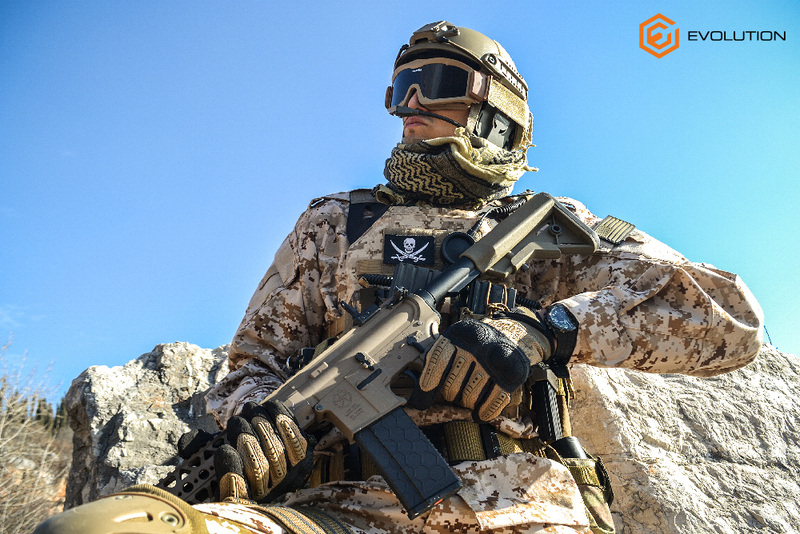 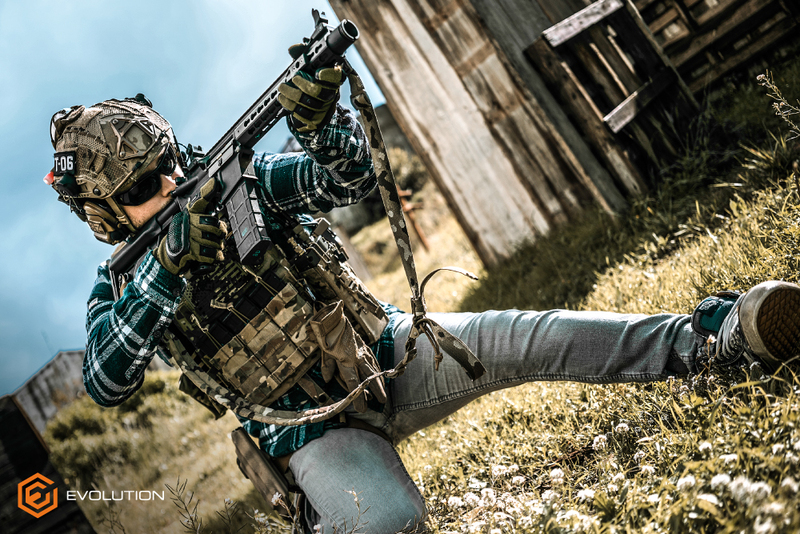 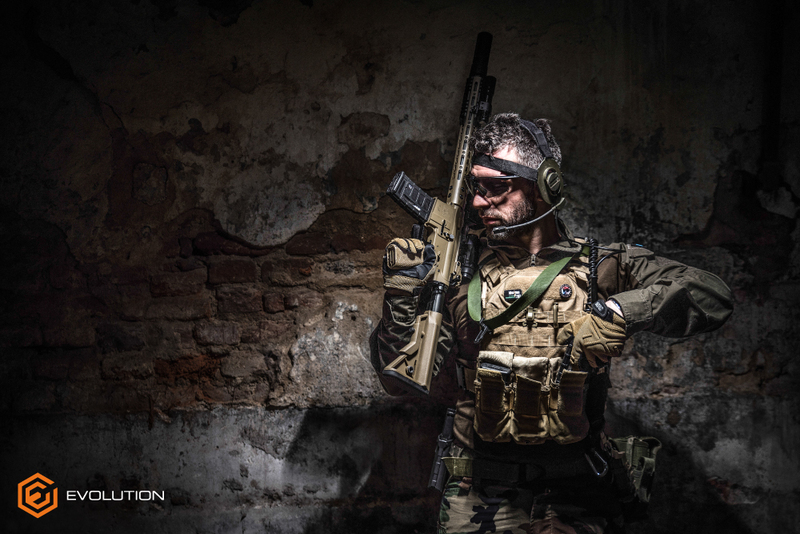 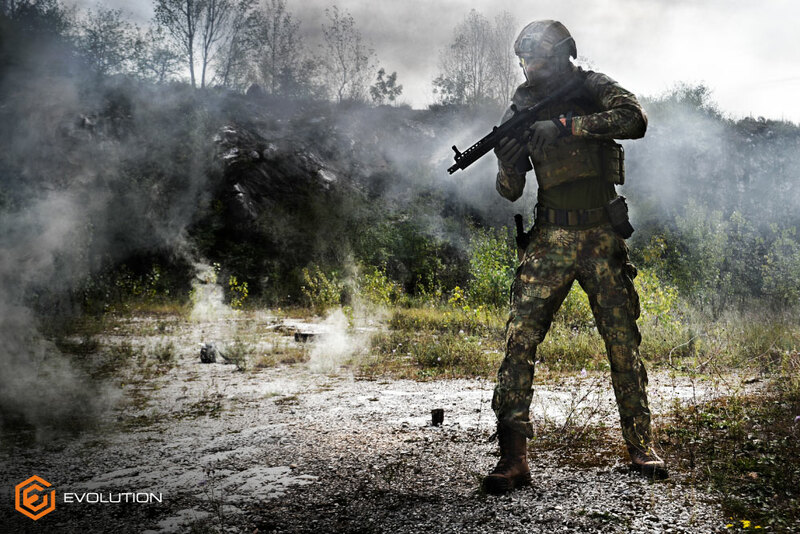 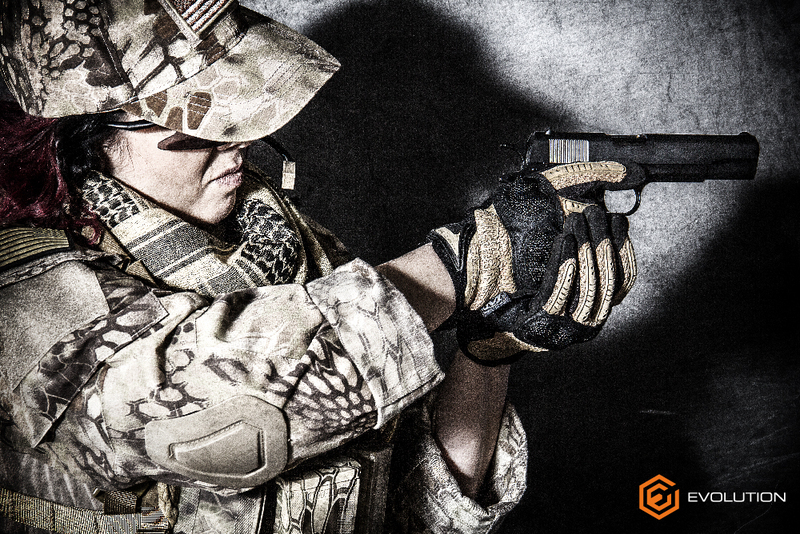 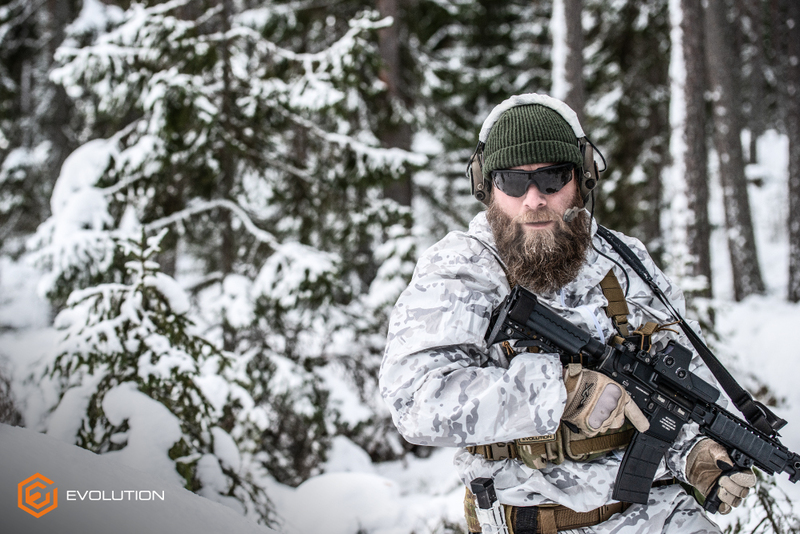 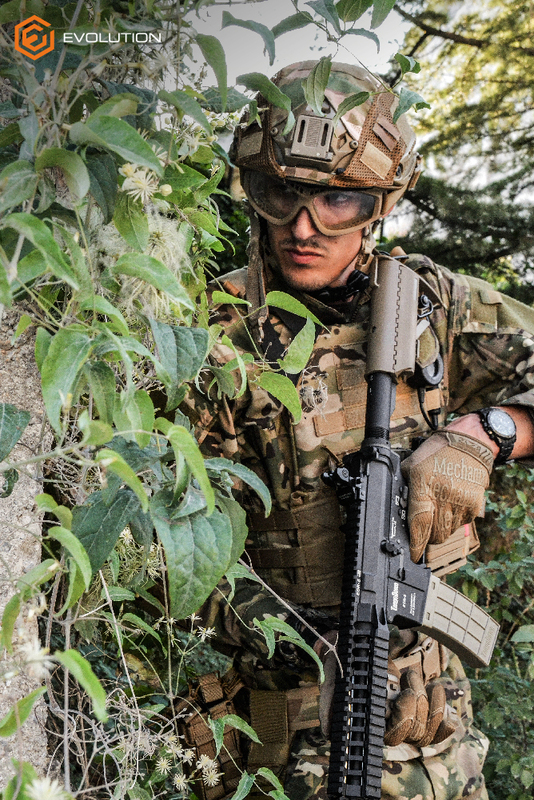 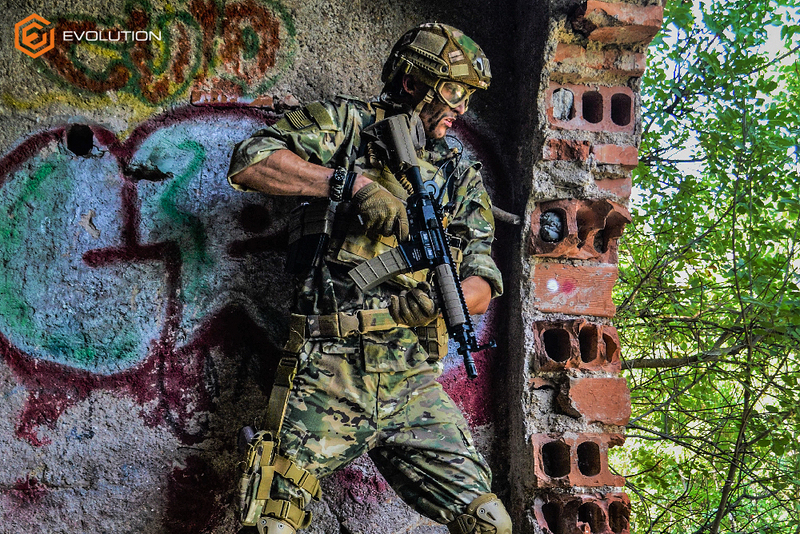 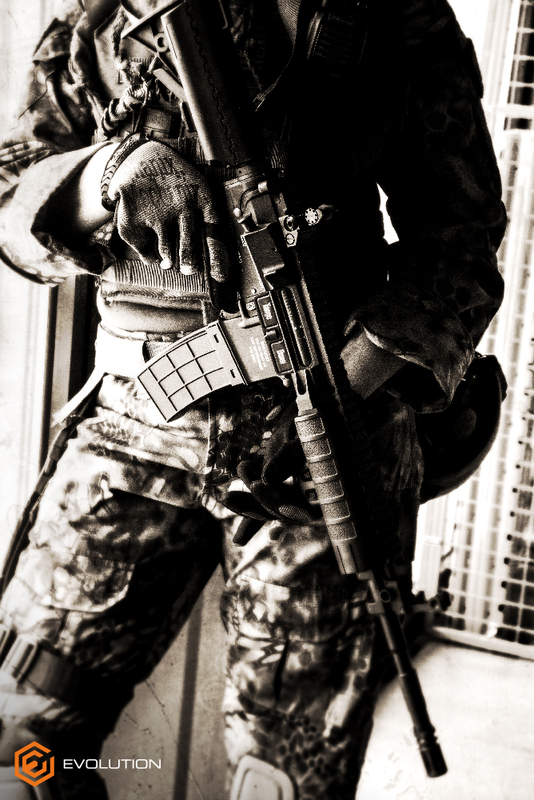 Evolution keeps expanding its line of professional air soft guns, now with the brand new Combat Series Recon. 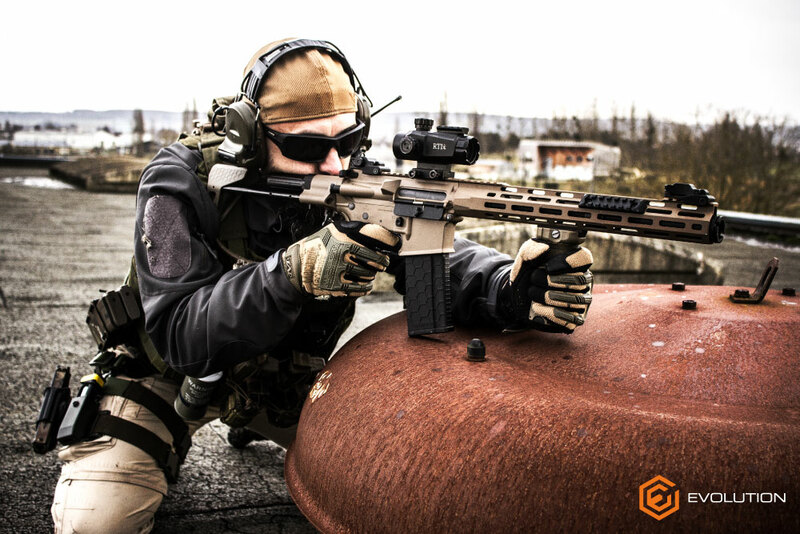 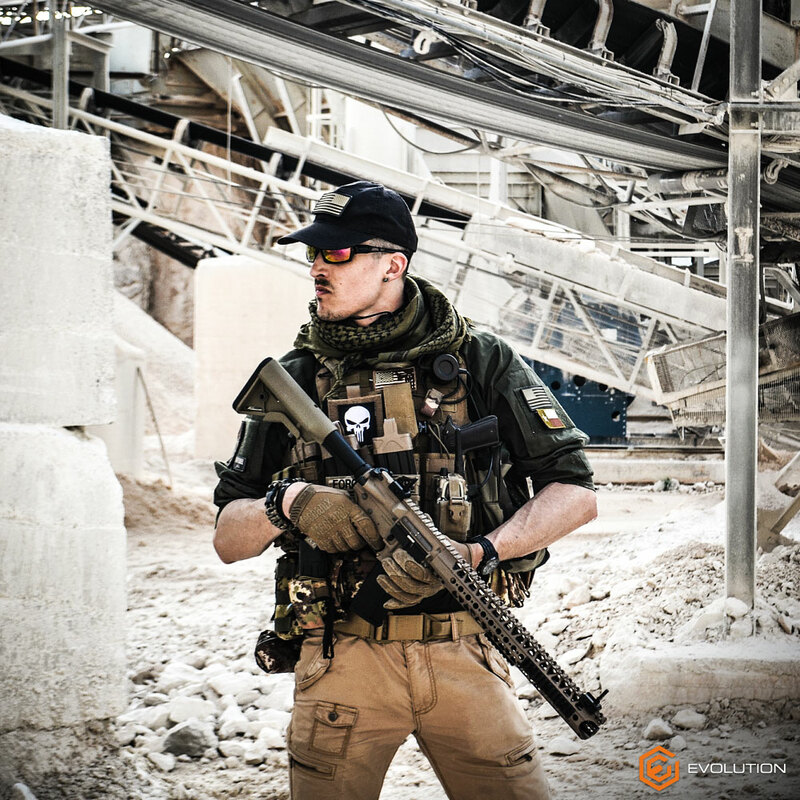 The Recon is available in 34 different versions which differentiate each other by the barrel length, rail system, muzzle device and color.